Editor’s Note: One half of this article comes from my earlier entry, the Top 5 Civil War Books on the Battle of Antietam and the Maryland Campaign of 1862, while the other half covers some of the better new books on Antietam which have come out in the last three years or so. Be sure to also check out Jim Durney’s Reading the War: September 1862, the first in a series which aims to provide readers with good books about events which happened 150 years ago today. Much will be written about the Battle of Antietam (Sharpsburg to Confederates), the bloodiest single day in American history, on this the 150th anniversary of the battle. I’ll have another blog post up later on all of the best Antietam sites on the web, but for now, I’m content to offer up my thoughts on where you should put your hard earned dollars if you want to learn more about this fascinating battle and the even more fascinating campaign which led to it. I want to add a little disclaimer before I start. This list is the educated opinion of Brett Schulte alone, and in no way should it be construed as the final word on the subject. If you believe this list is totally wrong or if you believe I’m an idiot for forgetting to add this or that book, let me know! I hope new readers can go to this page in the future and by reading both the Top 5 Civil War Books on the Battle of Antietam list AND the comments will be able to get a good idea of what types of books on Antietam might be for them. In that vein, I will be adding some good books for beginners after the main top 5 list. With that said, on to the list! This is the most popular standard account of the Maryland Campaign of 1862 and the Battle of Antietam. 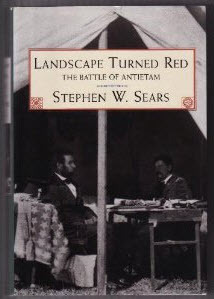 Easily affordable and well-written, Sears’ Landscape Turned Red is an excellent introduction to the topic. Sears does have a bit of a Northern bias and tends to simplify the controversies of the campaign such as Lee’s Lost Order, but if you haven’t read anything about the Battle of Antietam and you want a comprehensive overview you cannot go wrong here. Much like you cannot write a solid book about the Civil War without referring to the Official Records, you cannot write a study of the Battle of Antietam and the Maryland Campaign of 1862 without referring to Ezra Carman’s massive study of the campaign and battle. Carman, a Union veteran of the battle, dedicated his later years to studying the campaign including South Mountain and Antietam. Carman was responsible for writing the text found on many of the historical markers at the Antietam battlefield today. Joseph Pierro just recently edited the Carman manuscript, which at 1400 pages had never been published. Pierro had done an AMAZING job with the manuscript. Carman did not footnote hardly any of his information, something Pierro spent many years correcting. Footnotes are now available for most of this information, even for letters sent to Carman by the numerous veterans he corresponded with over the years in his official role at Antietam. Although this is the number one book I would recommend for deep readers of the war with a prior knowledge of the battle and campaign, please note it is NOT for those new to the subject. Also note the steep price, with the book currently (April 2009) going for $76 at Amazon.com. Joe Harsh’s outstanding campaign study of the Maryland Campaign of 1862 looks at the campaign from the viewpoint of Robert E. Lee. 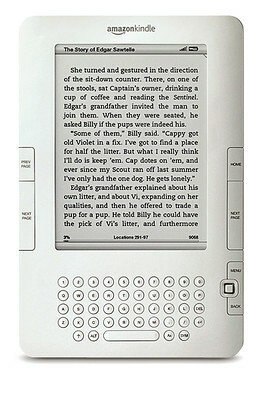 Harsh uses the information known to Lee AT THE TIME and reviews the choices available to the commander of the Army of Northern Virginia throughout the campaign. Harsh overturns many long-held myths about the battle, number one among them and one I am especially interested in is the number of men the Army of Northern Virginia had when it crossed the Potomac to start the campaign and the number of men available on September 17, 1862. 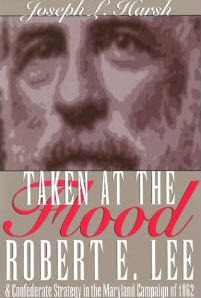 Harsh also contends Lee was not entering Maryland to obtain foreign recognition, but was instead simply trying to give the ravaged Virginia countryside a rest from Federal armies. Harsh has a tremendous number of footnotes and uses a vast array of primary sources. Incredibly, his book was large enough that the publisher decided to have him release a book featuring essentially a large number of “appendices” focusing on the Confederate side of the campaign. This book, Sounding the Shallows: A Confederate Companion for the Maryland Campaign of 1862, makes a useful if not necessary addition to Taken at the Flood. It is my understanding that Harsh originally intended to write a Union “appendix book” as well but has not yet been able to due to health concerns. Buy Antietam: Essays on the 1862 Maryland Campaign! Gary Gallagher has edited two books of essays on the campaign written by experts on these topics, be they military, political, social, or some combination of the three. Bob and Bobby Krick weigh in on the Bloody Lane and Jeb Stuart’s defense of Nicodemus Hill, respectively. Peter Carmichael takes a look at William Nelson Pendleton’s less than graceful handling of the rear guard action at Shepherdstown. Fellow blogger Brooks Simpson looks at “General McClellan’s Bodyguard”, the Army of the Potomac in the wake of the battle. D. Scott Hartwig looks at the raw Union regiments which first saw combat at Antietam. These are just a few of the fascinating topics covered. These books require a basic understanding of the campaign prior to reading them, so check out Landscape Turned Red (#1 in this list) or James V. Murfin’s The Gleam of Bayonets in order to get a solid grasp of the basics. 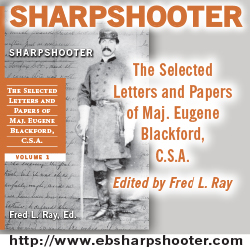 Luvaas and Nelson are responsible for an entire series of U.S. Army War College guides to Civil War battlefields. This book is indispensable for the battlefield tramper who wants to understand the strategy and tactics of a given battle. The guides are modeled on staff rides and include many excerpts from the Official Records. As fellow TOCWOC blogger and Amazon Top 500 reviewer Jim Durney said in his review, “this book is the best choice for a serious student of the battle looking for a detailed explanation.” A recently released alternative is Antietam, South Mountain, and Harpers Ferry: A Battlefield Guide. Buy Volume 1, South Mountain! I just realized this list is going to contain mostly Savas Beatie books. Brad Gottfried’s The Maps of Antietam continues the amazing Savas Beatie Maps of… series of books on Civil War battles. For a detailed look at this massive map set which details movements down to the regiment and battery level, read my recent review. 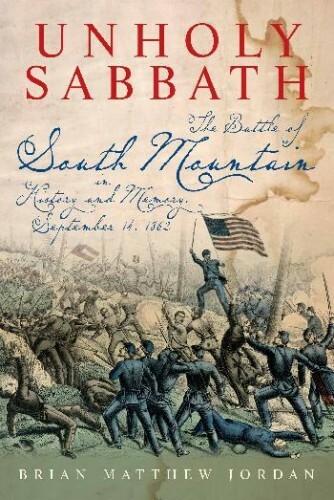 This is, so far, the best book produced on the Battle of South Mountain. I wouldn’t call it definitive, and there are a few minor quibbles I had with the maps, but if you are looking to study South Mountain specifically, this book along with Volume 1 of Carman’s now published manuscript above are where you should start. I recently reviewed this one here at TOCWOC as well. Although I haven’t yet read this book, or even obtained a copy, Drew Wagenhoffer’s recent post alerted me to its existence. Camp Pope is a great publisher of Civil War books, so I expect this will ultimately be an excellent addition to anyone’s Civil War library. This entry in the venerable Osprey Campaign series combines a profusion of images, illustrations, a regimental level order of battle, and visually arresting maps with a clear, concise overview of the campaign in question. In this case, it’s the Maryland Campaign of 1862. I always enjoy the “Guides to Further Reading” (when they appear) in the Campaign series. If you are a beginner, this is probably the best treatment of the campaign to get in order to get the basics down before diving into Sears or Murfin, both listed above. A close second to the Osprey Campaign series is the Great Military Campaigns of the Civil War series. This entry from that series is written in a similar format to the one above, but at 184 pages has twice the amount of information as your typical 96-page book in the Osprey mold. For that reason, I would recommend purchasing this book second in order to build on the foundation built by reading the Osprey book. John Priest’s series of books on the Wilderness and Antietam have dozens of detailed regimental, battery, and even company level maps. This book on Antietam goes into an incredible amount of detail, perfect for wargamers but perhaps too much for the typical student of the Civil War uninterested in wargaming the Civil War. An appendix at the back of the book does what few others attempt to do: break down the strengths of each army by regiment. There has been quite a bit of study on the question of just how many men were present in the Army of Northern Virginia, and some (namely Harsh) would say that Priest’s estimates are too low in that regard. I should also note that some have criticized Priest for factual errors in his books. Check out the Book with a Link to Buy! Fellow blogger Scott Mingus has produced an excellent scenario book for South Mountain and Antietam based on the popular Johnny Reb III American Civil War miniatures ruleset. Each scenario gives a detailed order of battle including how many men were present in each regiment. Even if you are not a miniatures wargamer, this book will come in handy when designing scenarios for computer and other wargaming systems as well. The book is also an excellent introduction to the campaign for children simply because it is filled with impressive maps of the scenarios showing miniatures on the board. This visually appealing method will no doubt attract the eye of pre-teens. Priest also focuses on the Battle of South Mountain, and does so in his usual amount of detail. Again, this book is a VERY detailed tactical look at South Mountain, and may not be for everyone. Wargamers, however, will love it. In addition, for serious students of the campaign, I know of no other book dealing solely with the battles for South Mountain. So there you have it! This is one somewhat knowledgeable man’s opinion of the best books out there covering the Battle of Antietam and the Maryland Campaign of 1862. Have I left any indispensable books out? Is my order completely wrong? Are there multiple books I’ve left out which need inclusion? If so, let me know! I would like to make this blog entry and its comments section a one stop shop for readers who are looking to learn about Antietam and the campaign as a whole in detail. Thanks for putting together this list, Brett. We are very pleased with our Maryland Campaign titles. 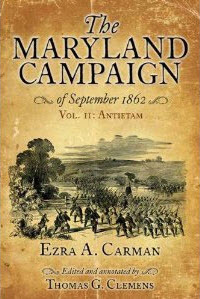 For those so inclined, signed copies of The Maryland Campaign, Volume 2: Antietam are still available signed by editor Tom Clemens. Hop on to our website for details. Wish we could be in Sharpsburg today . . . Will look forward to your next post as well. To this excellent list I would add Timothy J. Reese’s “Sealed with Their Lives: Battle of Crampton’s Gap, Burkittsville, MD, Sept. 14, 1862”. Although it focuses on the battle at Crampton’s Gap, I think it makes a great case for the vital importance of the battles along South Mountain in determining the outcome of the Maryland campaign, and thus influencing the entire course of the war. Unfortunately, it’s out of print, and used copies are not cheap! Thanks for the comment. I own both of Reese’s books on the Maryland Campaign, and I agree that his Crampton Gap book is well worth a read.